When ending a marriage, a divorce lawyer will ensure the divorce process is smooth. But how much is a divorce lawyer? Find out the general cost here. It’s settled you’re getting a divorce. You know it’s going to be a tough and draining process, but you don’t have any other options. You must’ve heard the horror stories about how much spouses drain your bank accounts during a divorce. But, you haven’t heard the whole story about how much it will cost you. You’ve got to be ready for the bill that’s coming. That’s what we are here for. We’re going to tell you all there’s to know about how much is a divorce lawyer going to cost you. So there’s no way back, you’re getting a divorce. Before we get into how much it will cost you, we’ll tell you some basics about the divorce process that might influence your bill. The first thing that can determine the cost of your divorce is if your divorce is contested or uncontested. A contested divorce is a divorce where one or both spouses don’t agree on something related to the divorce like child custody, alimony, child support, among others. This type of divorce is the most expensive because it requires more time in court, more legal fees, and a lot more emotional stress. It will depend on your case but usually when there are disagreements between the spouses; it takes a long time for the case to be settled. Because the judge is the one who will have the final say on those disagreements. An uncontested divorce is the type of divorce where both spouses agree on all divorce aspects. To file an uncontested divorce, the parties must meet the requirements established by the state. These may change from state to state. Usually, an uncontested divorce may be the cheapest route because the spouses aren’t going back and forth negotiating things like child custody, or alimony. This translates into less time in court, smaller legal fees, and less emotional drain. How Much Is a Divorce Lawyer Going to Cost Me? You’re going through a divorce and, you don’t want any more surprises. It’s enough will the ordeal you and your family are going through. We want to let you know that you won’t get any surprises if you do your homework. Mainly your divorce attorney fee will come down to the type of divorce, issues, location, the lawyer you hired, among other factors. The average divorce in the US costs around $15,500 including all types of services and, aspects of the divorce. From this total, $12,800 was attorney fees. You must be thinking are you crazy? It’s going to cost me that much! Well, the divorce attorney cost will also depend on how they bill you. Yes, we know they’re only human and, it’s their job so they’ll try to milk the cow as much as they can. Some of them may charge you a flat fee rate, while others might charge you an hourly rate. When they bill you by the hour, you can definitely expect a hefty bill. The attorney hourly rate can range from $50 to $650 per hour. Yes, you read that right $650 per hour. This will mostly depend on where you are located, and the expertise of the lawyer you’re hiring. But, don’t worry that isn’t the norm. The national attorney hourly rate average is $250. Yes, this is a lot but if you hire the right attorney for your case you’ll spend less time at court. Therefore, it will be cheaper and less stressful for you in the long run. Most of the lawyers who charged the national average per hour provided full representation, partial representation, or consultation only. 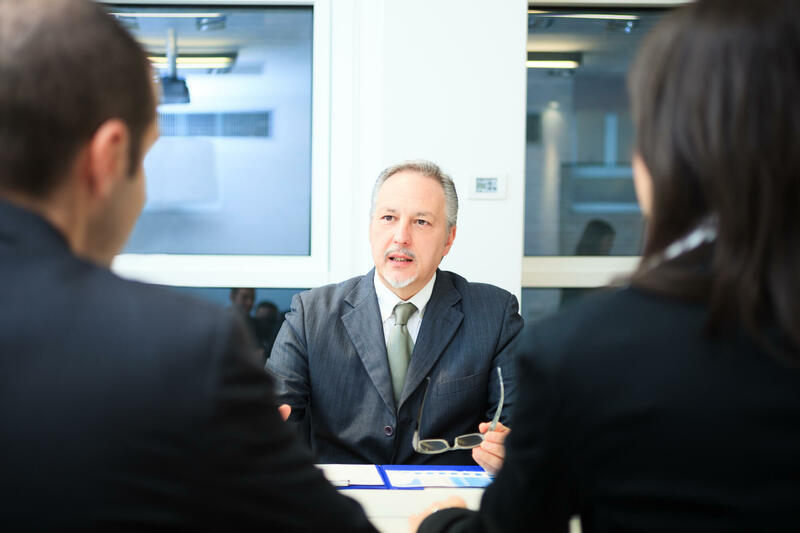 Besides the type of representation, divorce lawyer prices are determined a lot by the number of issues that go to trial and the attorney handles. People who went to trial on any divorce issue have spent an average of $19,600 in costs, of which $15,800 were attorney fees. In contrast, parties who settled have reported an average of $14,500 costs, including $12,200 in lawyer fees. Usually, an uncontested divorce can cost a lot less. It will depend on your case and the factors we mentioned. Most of the time, this type of divorce is charged as a flat fee rate. In order to file this type of divorce, you’ve to meet several requirements. Did you both agree to get a divorce? Do you both agree on all aspects of the divorce? These questions might point you in the right direction about knowing if you qualify for this type of divorce. We recommend you talk to your lawyer to make sure it’s the right approach for your case. Besides qualifying for an uncontested divorce, the attorney fees and divorce cost will be determined by the minor children involved. If there aren’t any minors, the rule of thumb is that the divorce will be cheaper. For example in Nebraska, an uncontested divorce without minor children can cost $700. In contrast, the same type of divorce with minor children involved can cost $950. How to Find an Affordable Divorce Attorney? Finding an affordable divorce attorney is possible. You just have to do your research. It will depend on your case, but the only way you can be certain is by meeting with a lawyer. Since most lawyers offer free initial consultation, it would be ideal if you met with several lawyers. This way you can get a glimpse of your options, and have a better idea of what’s the best approach in your case. When it comes to choosing your lawyer, you might be tempted to go with your cheapest option. But, you must resist the urge because in many cases that option will end up being the most expensive. You need a lawyer who has your back and, will hold your hand every step of the way. So before you choose your divorce lawyer take into consideration what you expect from them. Pick the lawyer that meets them and, doesn’t break your bank account. Will I Be Able to Afford Getting Divorced? Yes, you will be able to afford getting divorced. Remember that how much is a divorce lawyer going to cost you will depend on your case, and the type of divorce. But, you should focus on your needs, and what you expect from your attorney. This way you’ll hire the right divorce lawyer without breaking your bank account. Don’t forget that you should meet with several lawyers before hiring, so you make an informed decision. So you’re getting a divorce. Need a divorce attorney? We can help! Contact us to get your free initial consultation. I have paid out $75,000.00 so far in my divorce case. I thought I was getting one of the best attorneys in Council Bluffs, but things seem to be going side ways since we went to court. We have been to court once and that lasted all of 3 hours with the judge and attorneys in chambers for 1 hour. It sounds like you have spent a LOT of money on your divorce at this point and you are wanting some answers. I would check with your attorney and see if they can give you a full breakdown of what all has occurred to account for your fees. Just because we are not in court for hearings doesn’t mean we are not working on the case, but $75,000 is a ton of fees so I would inquire if I were you. Also, many time the judge just wants to speak to the attorneys in private so that’s why a lot of hearings actually take place in the Judge’s chambers. If you want, you can request your attorney ask the Judge to hold the hearing in open court and see what they say. It may be an option.